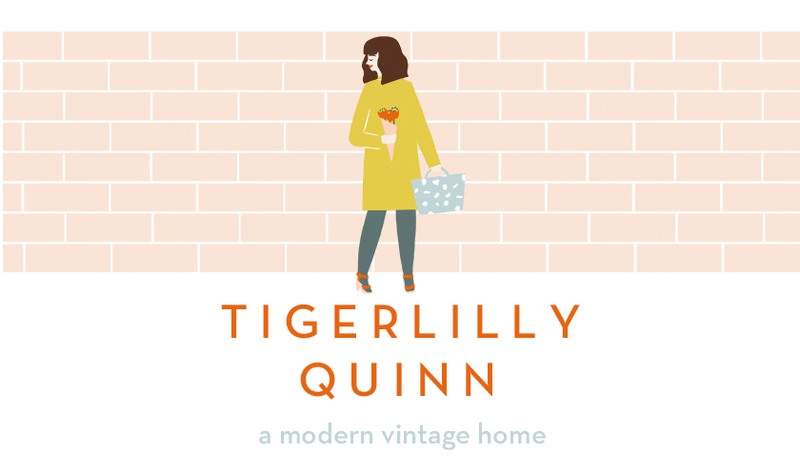 Tigerlilly Quinn: What's in a name? Well quite a lot I reckon considering all the to and fro-ing I felt when considered a name change when we got married. 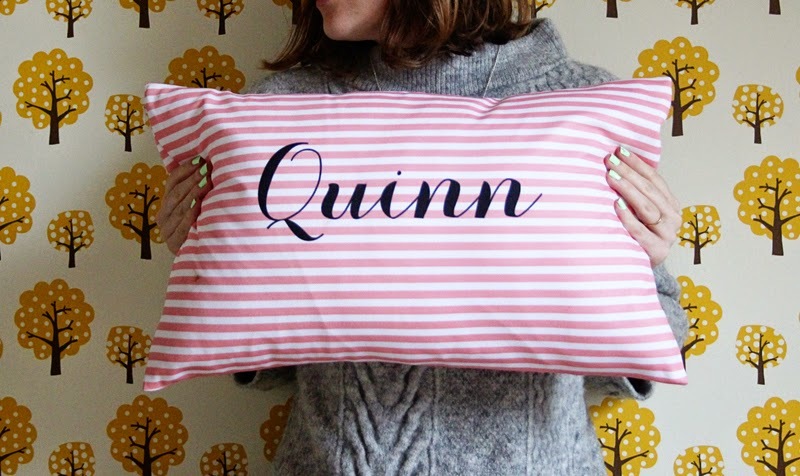 The funny thing is..my name really, traditionally, should be Quinn anyway. My dads surname is Quinn and my mum's is Strickland, they decided never to get married and instead divided their surnames amongst us. I ended up with Strickland and the Quinns in our family ended up being my two sisters. That being said, growing up my family would call my 'Fritha Moonbeatle Tigerlilly Quinn' and so it always felt like part of my name in that sense. Ironic really as if I'd just been a Quinn to start with I would never have had to have made a decision either way. 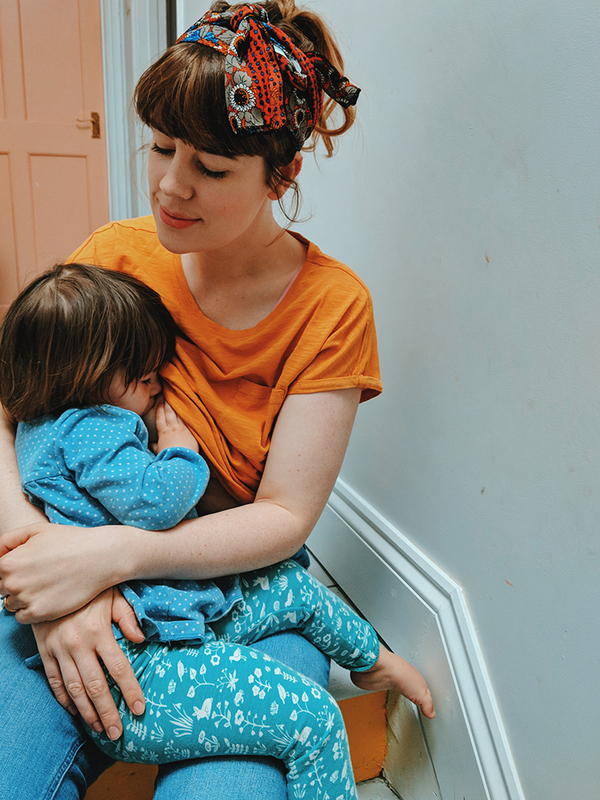 I wrote a little here about my last minute decision to change my name so I won't go into it any more in this post but feel free to take a peek and leave a comment on your views on the matter. I find it all so interesting. Zazzle contacted me a few days after our wedding and asked if I'd like to review a personalised item from their site and so something with my new (sort of) surname. I chose this cushion in the end although it took me a good while to make my mind up due to the sheer volume of unique items in the store. I was really impressed with the quality of the item and the speed of delivery, plus who doesn't love a pastel pink stripe? I love how the site is divided in so many ways to narrow down your search so even though there are a huge range of products it makes it easy to browse the type of item you are after. I think I would have found the wedding section particularly useful if I'd known about it a few months ago. It would also make for a great place to send people if you were looking for a wedding gifts! 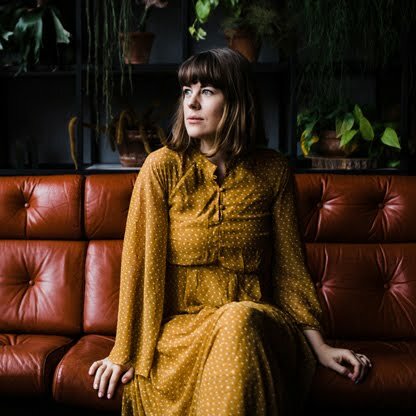 I also think it's great that the site is supporting indie businesses and independent artists and although it contains a huge range of products it also seems to be able to carry through an edgy and quirky theme. By clicking on 'gifts' you can see products arranged by 'best sellers' or 'interests and trends'. I think that this is such an important feature for a large store like this or you could end up feeling a bit lost. I've already added a bunch of inspirational posters and prints to my wish list (love this print). I really am a sucker for a bit of inspirational typography! Have you used Zazzle yet? What do you think? I love the idea of personalised cushions. These would be lovely for a girl's bedroom. I must check out Zazzle heard they are great. Firstly I love the cushion - and how lovely to choose something that applies to all of you as a family! But also I have to ask are those your real middle names ? - because if they are then they are truly wonderful!! I love finding things a bit quirky and different. Off to have a nosey round the store now. Cute cushion - I've always liked pink and white candy stripes because I had a piece of old bed sheet exactly the same which was my comforter as a kid! 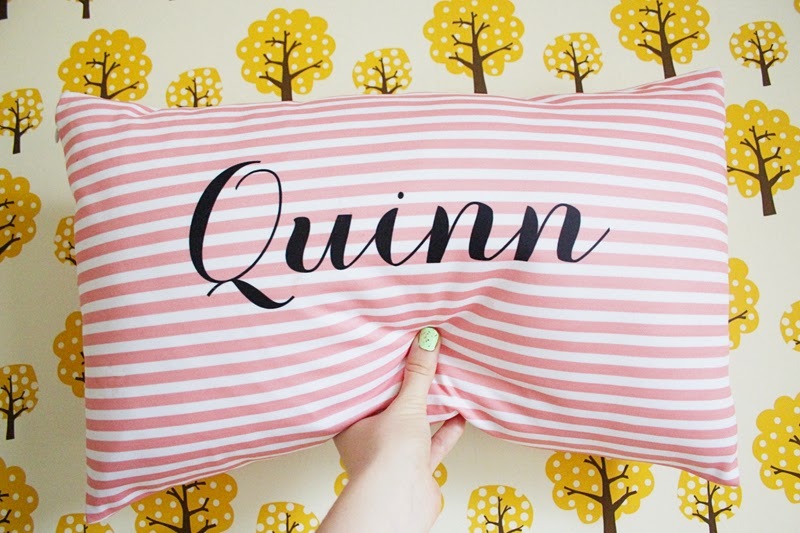 I haven't used it but I love the candy striped cushion and being able to personalise it - would be a nice present for each of my little ones to have in their own name to snuggle up with on the sofa....hmmm, good present idea!! I haven't used Zazzle, though I've seen it. Love the cushion! The cushion is great. Whether or not to take my husbands name was a big decision for me too, I ended up taking both so I could have the old and the new. Ha ha I love the wallpaper too! I haven't used Zazzle before - red rather than pink would be my colour, but the cushion looks nice and snuggly. I really, really love this cushion!